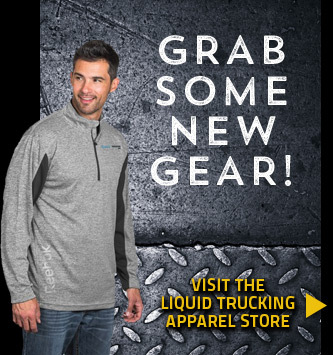 At Liquid Trucking, it is our exceptional employees and their dedication to customer service that makes our company a great place to work and has brought us success and growth throughout our 28 years in business. Because of that, we love to highlight our employees and what makes them great. We are excited to introduce one of our newest employees, Michael Tripp. Michael recently joined the HR department at Liquid Trucking and has been a fantastic addition to our work environment. In his life, Michael exemplifies many of the characteristics that we believe make a great person and a great employee. He is a positive and hard-working self-starter who has already achieved a lot in his life, including earning two degrees and learning a second language (Michael habla español con fluidez). Michael also knows what drivers go through. He spent 2 years as an owner-operator, delivering loads in almost every US state. Because of Michael’s experience on the road, he is a perfect person to help out our drivers and technicians with any issues they might have. Watch this short video to get to know Michael a little better, and make sure to say hi the next time you see him in the office!